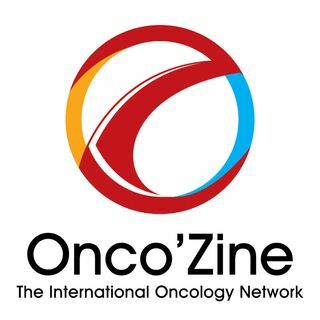 In this Edition of the OncoZine Brief, recorded during the Annual meeting of American Society of Clinical Oncology (ASCO), which took place June 1-5, 2018 in Chicago Illinois, Peter Hofland and Sonia Portillo interview Dr. Sotirios Stergiopoulos, who is the Chief Medical Officer of Ipsen, a global specialty-driven biopharmaceutical group focused on innovation and specialty care. The group develops and commercializes innovative medicines in three key therapeutic areas – Oncology, ... See More Neuroscience and Rare Diseases. Its commitment to Oncology is exemplified through its growing portfolio of key therapies for prostate cancer, neuroendocrine tumors, renal cell carcinoma and pancreatic cancer. Ipsen also has a well-established Consumer Healthcare business. ASCO is the largest organization of its kind, and this year, during the socities annual meeting, nearly 40,000 attendees gathered in Chicago, Illinois, to discuss the latest findings and advancements in oncology. The theme of this year’s ASCO is Delivering Discoveries: Expanding the Reach of Precision Medicine. In the past few decades, precision medicines have allowed for many advantages for improving treatments for patients with advanced, difficult to treat diseases that don’t respond to traditional chemotherapy. In this interview Hofland and Portillo are talking with Dr. Stergiopoulos, about some of the exciting presentations at this year’s ASCO. We also discuss an investigational drug regimen that is being studied for use as first line treatment in metastatic pancreatic cancer. Metastatic pancreatic cancer is very difficult to treat disease that does not have many treatment options. It is also a disease that- like colorectal or ovarian cancer - is often discovered in late stages, when treatment becomes exceedingly difficult and chances of survival decrease. Hofland and Portillo ask Dr Stergiopoulos about the data presented regarding this challenging disease area, as well as other topics that were discussed at this year’s ASCO meeting.